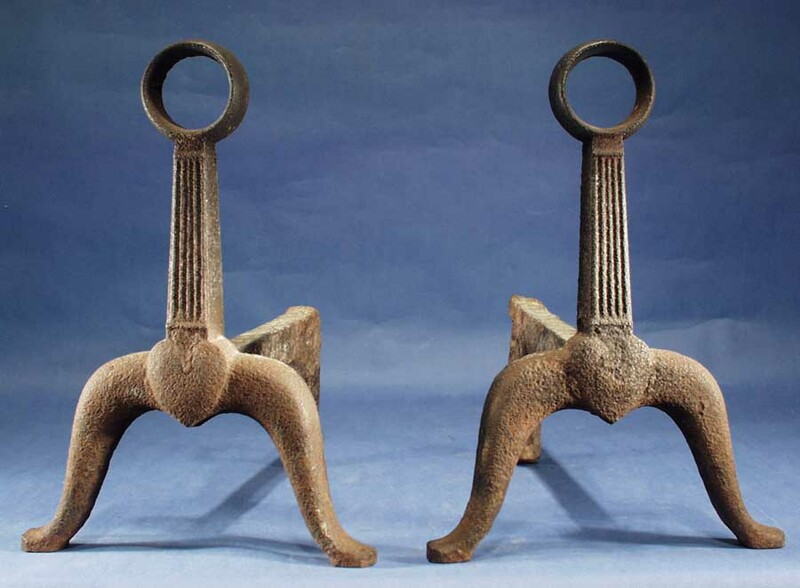 Andirons, Cast Iron, Heart Device Ring top, 18th C.
A pair of late 18th or early 19th century American cast iron fireplace andirons. With fluted pilasters supported on heart shaped plinth and ring top. The andirons retain the original cast iron billets and an old patina finish.